Multiple Web Browser Support for PowerBuilder! Appeon are happy to announce that they will be launching an new Appeon Web beta version this summer with the “Multi-Browser Compatibility” as the main feature! However, they need your help to make this new feature a success! The new multi-browser feature will empower PowerBuilder developers to easily build applications for all of the major web browsers for Windows OS including IE, Chrome, Safari and Firefox. Be one of the selected beta testers to get the opportunity to interact with Appeon engineers. As always, your comments, suggestions and questions are very important to Appeon. As a participant, Appeon will do their best to incorporate as much as of your feedback as possible into the final release. The beta program is scheduled to start on July 28th and will last 2 months. Simply fill out the 2-minute survey below to sign up for the beta now! You will receive an email when the program begins. STD Web Service Framework - Version 2.0 Released! PB Classic Web Service Framework - v2.0! Software Tool & Die Inc are please to announce a new release of their Web Service STD Foundation Classes for IIs (STD FC IIs) - Version 2.0. 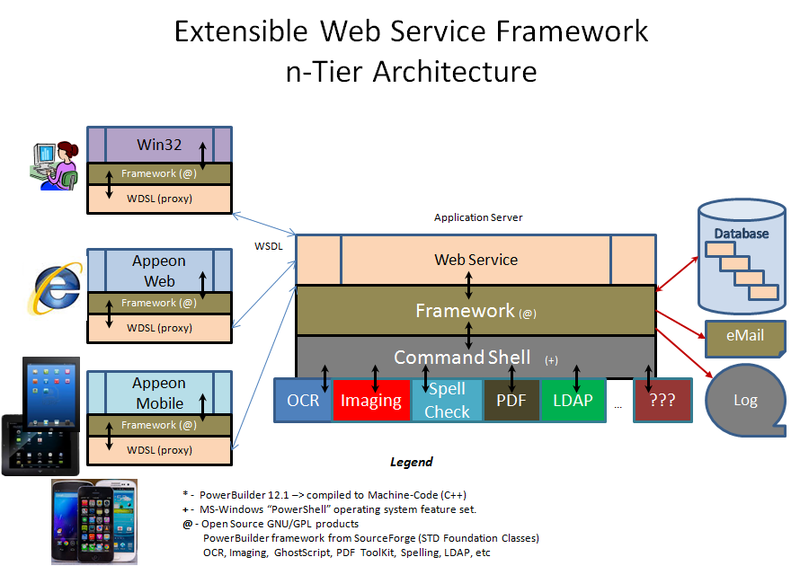 The updated v2.0 Web Service IIs framework is solely targeted to helping PowerBuilder Classic developers, develop .Net based Web Services deployed to IIs. The IIs based framework takes advantage of RAD techniques - employes an MVC (Model, View, Controller) architecture for superior performance, flexibility and extendability. All the STD frameworks are free and can be downloaded from its STD Foundation Classes SourceForge project website. Ported the base Internet Result Set class "ns_internet_result_master" over from the Integrated framework to the IIs Web Service framework. Added session INI support to the framework in the BUSINESS abstract ancestor (nc_business_master). Added SYSTEM to System control checking (O/S, DB, & PB). Added resource TRACEing for SQL, print, memory, time, etc to the base ancestor DataStore (ns_ds_master). Added support for dynamic language setting to the IIS abstract ancestor (nc_iis_master). Added dynamic debug switch support. Added full error handling to the TRANSACTION object base ancestor (ns_transaction_master). Added SQL tracing to the TRANSACTION object base ancestor (ns_transaction_master). Added new web service CONNECTION object base ancestor (ns_connection_master). Added default "WebService.INI" skeleton to the framework as a starter format for your projects. Added Compile DATE & Time stamps constants to the framework to trap the last "full build" information. The STD Web Service and other PB frameworks are free and can be downloaded from the STD Foundation Classes SourceForge project website.